Shop smart with Co+op Basics and special markdowns. The Co-op works with a nationwide collective to secure great prices on staple items, known as the Co+op Basics. 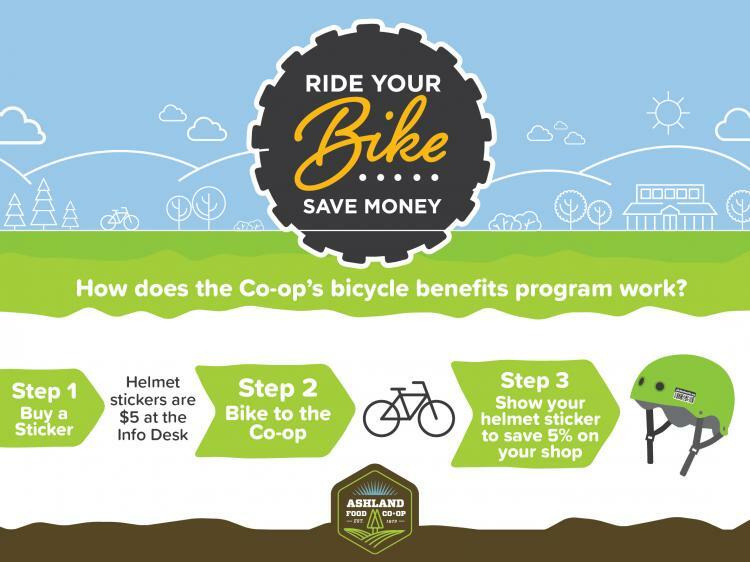 Look for the Co+op Basics sign throughout the store to save. Also keep your eyes peeled for extra savings: look out for bright “$1/2/3 off” stickers on select products! If you’re not signed up yet, join the Weekly Sales Flyer email list. Every Wednesday, you can plan your shopping list around a new selection of items on sale, from in-season produce and high-quality meats, to wellness products and sweet treats. The best way to save on produce is to buy in-season. Ask our produce employees what’s at peak ripeness and for the best deals in the house. To save you money (and reduce food waste), we also have a produce markdown section where everything is $0.25 per pound. It feels good to eat and be well while saving money, doesn’t it? From staple goods to specialty items, the Ashland Food Co-op is always working to save you money without sacrificing the high quality standards you’ve come to expect. If you have any personal tips for saving, send us an email and we’ll pass your ideas on to your fellow Co-op shoppers.